Wield the power of Kirito's Elucidator sword inspired by the popular anime series Sword Art Online! Kirito's signature sword comes packaged in a collector's box and is made with flexible but durable polyurethane material. 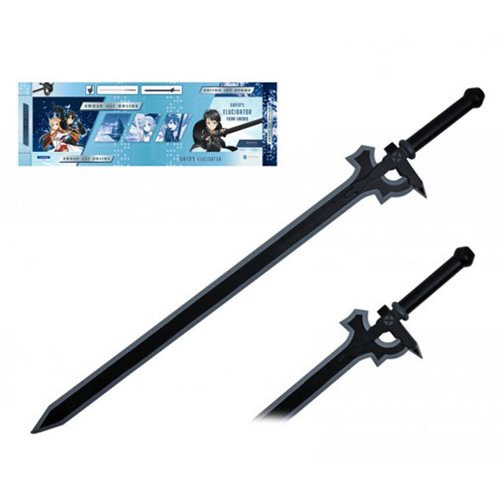 This Sword Art Online Kirito Elucidator Sword is a must have for any cosplay, roleplay, and anime fan! Sword measures about 37 1/4-inches long. Ages 13 and up.